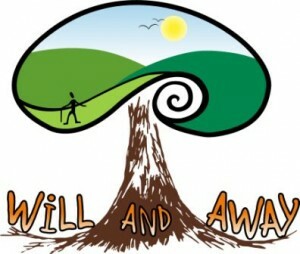 Will and Away is a mobile outdoor education company run by William O Halloran from Ballygarvan, Co Cork. They focus on developing people through nature, and believe that the key to a better future for both ourselves and the environment can be gained through our approach. Their activities include: rockclimbing, abseiling, treeclimbing, survival skills, bushcraft, hillwalking, orienteering, team challenges, camp craft, environmental art, nature awareness games, leave no trace and adventure expeditions. If you feel like getting out in the mountains, going trekking along Ireland’s waymarked ways or immersing yourself in nature on a camping trip, let us tailor make an expedition for you. Will and Away will take you on an unforgettable adventure that you never thought possible. They run their epic adventures all over Ireland in places such as Connemara, Mayo, Wicklow, Kerry, Cork or wherever else you have in mind. Regardless of the unpredictable Irish weather, which they’re more than used to dealing with, they provide a range of professional top-quality outdoor activity programmes that are fun, exciting, educational, safe, and of excellent value.